Figs are in season. Get ‘em while they’re hot! 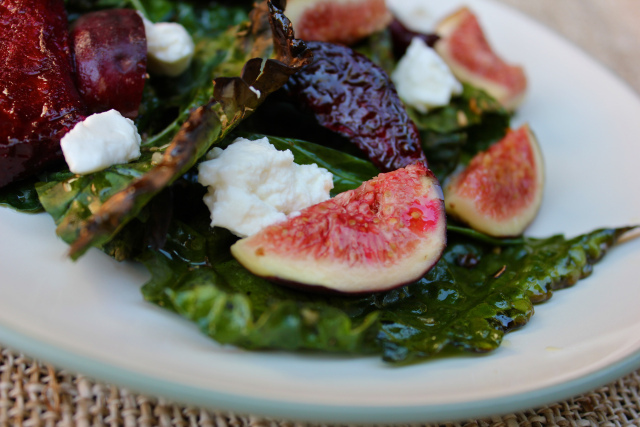 This easy salad is not only delicious, but full of micronutrients to help you thrive. Please note: kale is on the dirty dozen list! Massage the kale squeeze it and bruise it to make it easier to digest. Mix up olive oil, lemon juice and salt and add this. The lemon oil will ‘cook’ and soften the leaves. Toss in the rest of the ingredients and garnish with chia seeds. Yum!